1) How does this solution differ from all the other website solutions out there? First of all, this is more than a website solution. It’s a complete marketing package. When you invest in Referral Ignition Elite, a personal concierge will get in touch with you within 24 hours and help you set up your website as a part of your overall marketing approach. If you like, we’ll create a brand new one for you. If not, the personal concierge will help you decide how to improve your existing website and even help you transition from your existing provider. A website is just part of your marketing funnel. A website is like having a restaurant. Referral Ignition, on the other hand, is a system that gets people coming to your ‘restaurant’ over and over while generating endless referrals without you lifting a finger. This system is about using your time wisely so you can focus on what you do best – which is working with patients. Most website providers will try and impress you with a bunch of features that sound great but do nothing to help you get new patients. We simplify, streamline and automate everything from your website and newsletter marketing (ask them if they do print, fax and video newsletters) to mobile / voice / direct mail marketing combined with Facebook, mobile websites, video marketing and most importantly done-for-you marketing from the world’s leading provider of physical therapy marketing (ask them if they do any of this – if they have written books, conducted events, worked with thousands of private practice owners). 2) Wow! You're saying other solutions are all smoke and mirrors? Yes. Pardon our French, but patients don’t give a damn about a PT medical library, hundreds of pages of content – no one is going to read those pages. Physicians are likely to throw your newsletters in the trash, unless you use our proprietary techniques to involve them in our newsletters. Companies that sell you a physician newsletter are archaic thinkers, since they don’t understand physician psychology. As much as they would like you to believe it, no one cares about ‘authoritative clinic branded articles’ since patients can sense this ‘generic content’ a mile away. It’s not impressive – it’s run of the mill. Contextual content, 3D graphics and animation, template technology are fancy terms to sell you things you don’t need. All you need is more patients, a better experience for website visitors and strategic, systematic follow up – and all of our competitors fall flat on their faces in this regard. Search engine optimization alone is a waste of time. Google Ads are a great way to flush money down the toilet if you don’t have a follow up systems in place (something our competitors don’t understand and have therefore been unable to share with you). It’s the comprehensive and intricate weaving of appropriate marketing techniques and technologies that will take you to the next level. 3) What's the best way for me to market my practice in the future? The future is local and mobile. You need to reach patients in a 5-7 mile radius around your clinic. Everything else is irrelevant. Our closest competitors can’t even get themselves to rank on Google for terms like “physical therapy marketing” since we rank at the top. We empower you to follow up with your patients using SMS / appointment reminders and shortcodes (text PATIENT to 77453 to get an idea about how this works). The future is also video. We’ve created the most unbelievable video marketing solution you’ll ever need. You have to experience it to see its impact on your practice. The future is social. We integrate automatically with over 35 different social media platforms, and the newsletter appears on your Facebook profile automatically. 4) What do patients want? Patients want frequent, relevant contact using multiple modes of communication, specific sequences to transition them from suspect to prospect to patient to human billboard. They need to be led up the path of patient ascension. We give you the tools, and the scripts to lead them down that path. You take control of the ship and the suite of tools we’ve created for you to facilitate this process without the pressure of trying to juggle everything yourself or hiring more staff. 5) Who created this system? Our founder Nitin Chhoda, CEO is the world’s #1 physical therapy marketing consultant and has worked with thousands of practices all over the country and has created this all-inclusive suite that contains all the services you will ever need. Unlike some other providers Nitin Chhoda is a licensed physical therapist and so is his wife Ritika Gulrajani. This helps our company understand the true needs of physical therapists in private practice. 6) What if I already have a website? You can keep it the way it is. Or, if you’d like us to upgrade it using one of our templates, we’ll be happy to. If you want us to make changes, we’ll do that for you as well. Anytime, as many changes as you like. It’s just another reason we leave our competitors in the dust. 7) Ok, sounds like a no brainer. Does this include Therapy Newsletter? Yes, it includes your own Therapy Newsletter account, and integration with your website.This means that you’ll have an automated email, print, video and faxed follow up solution with all your patients. When you invest in Referral Ignition Elite, you’ll get a username and password to the Therapy Newsletter, if you don’t have one already. It’s said that it takes seven instances of contact with your prospects before you can get them to take the desired action i.e come in to your clinic. With the integration of Therapy Newsletter you’ll have that process automatically done for you. 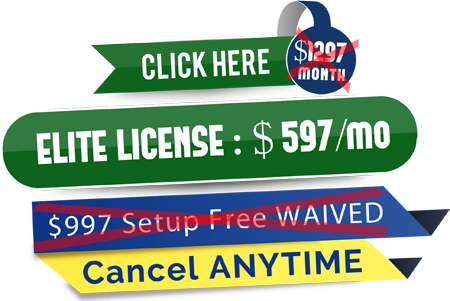 They will come to the website, see a free offer to get a special report and you’ll instantly have their e-mail address so that follow-up email sequences kick in. This all done automatically for you! 8) What else is included? This includes an automated SMS / voice / direct mail marketing platform. In addition to your done-for-you membership website, you get search engine optimization, social media marketing integration, a mobile website, customizable video marketing, proven cut-and-paste templates and training material to ignite your practice with more referrals than you can ever handle. 9) I'm not good with the computer. Do you help with this? How can I make changes? Certainly! In fact, every component of your websites, newsletters, direct mail and mobile marketing can be customized, from the header, title, logo and content with the click of a button. If you know how to use Microsoft word, you will be able to customize the components within minutes. If you run into any trouble, you can speak with your personal and dedicated Elite business strategist via phone or email! Our suite of software and services also come with support methods such as chat, ticket, email, and live phone customer service. 10) If I run into any trouble trying to use Referral Ignition, is there any way to get help? You will have direct access to your Elite business strategist and coach, training videos, detailed support guides, a support ticket system and phone support with our customer service team. 11) Will you optimize my site as well? Yes, we optimize your website for your local market with a Google places page. This is one of the bonuses that you will receive when you become a Referral Ignition Elite member.We will also optimize your primary website for two to three keywords. Expect results in 2-3 months. 12) Can I use text messaging to send appointment reminders to my clients? Yes, the Referral Ignition Elite plan includes a membership to Clinical Contact, so that you can reach patients with text and voice broadcasting. When you invest in Referral Ignition Elite, you’ll get a username and password to “Clinical Contact”, a platform to help you follow up with patients using mobile text messages, voice broadcasting and email. Now your patients can stay up to date on when they have appointments with this automated follow-up tool in your arsenal. Many practices have yet to implement such a system. This ensures you that once you enter your client’s information in the system, they’ll be conditioned to know, like and trust you over a period of time and will be more inclined to share the experience with others. 13) Will I be able to send automated birthday cards and discharge cards to my patients? Absolutely! We have a strategic partnership with the largest provider of automated postcards and greeting cards in the world, and we will set you up with an account to automate this process. When you invest in Referral Ignition Elite, you’ll get a username and password to this service, and your personal concierge will walk you through the features and the campaigns we have already created for you in your account. Not only will we set up the technology for you, we’ll also give you plug-and-play templates to send out to present and discharged patients so you don’t have to do any work. 14) This includes Facebook FanPage set up as well? When you invest in Referral Ignition, you’ll be able to set up an account for “Patients From Facebook”, a service that helps you set up Facebook fan pages with a single click. You’ll be able to quickly and effortlessly create fanpages inside the easy to use dashboard. Create as many pages as you like. Design the look and feel of your fanpage inside our visual style editor. You’ll be able to build a list of raving fans for your clinic inside Facebook! With most of your clients using Facebook, a fan page is an important resource to have available. 15) How does the mobile website work? When you invest in Referral Ignition, you’ll be able to set up an account for “Mobile Private Practice”, a service that helps you set up a mobile version of your site within a few clicks. Since more and more clients check out your website on their mobile phone, a mobile website is critical for your practice. Create a mobile version of your website in minutes without knowing any techie stuff. Your mobile site will work on iPhone, iPad and Android devices. 16) What if this isn't right for me? That’s why we offer you a no hassle, no strings attached 30 day money back guarantee with the Elite plan. 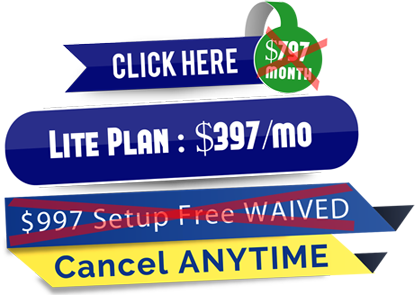 We also charge you no set up fees when you sign up for the Elite plan. If you’re not happy with our Elite service in the first 30 days, call our office and you’ll get a full refund, no questions asked. It’s as simple as that. This is the best marketing system you’ll ever find, and we’ll let you be the judge of that.